It's that time again where lovers unite and lonesome souls drown in their misery of loneliness and despair. Just kidding.They are probably just cursing the sickenly cute loveydovey birds around them. This year around the bf and I both have to work on V-Day so we decided to celebrate one day early and it was really lovely. If you don't know what to do on Valentine's day here's what we did. No foolproof plan but a wonderful one, at least in my eyes. 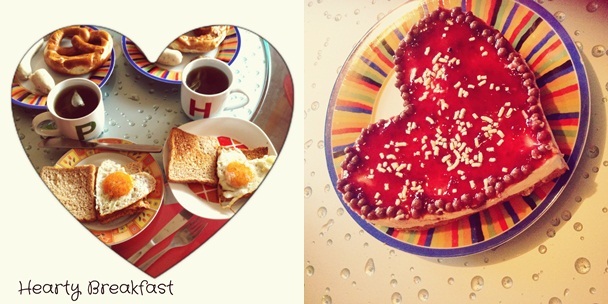 The day started out perfectly with heart shaped eggs, sunny side up, a hearty bavarian "Weißwurst" breakfast, our current favorite and matching cups. After a filling breakfast we got a bit domestic by baking this lovely heart shaped cherry cheese cake (which was super easy thanks to the baking mixture, I know laazyy). 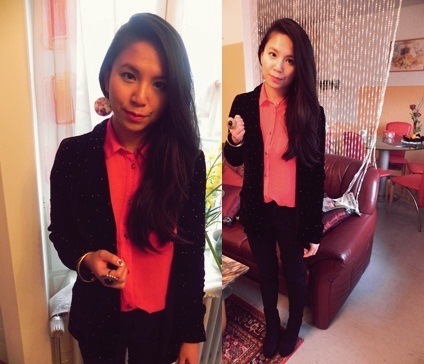 My ootd for dinner time. 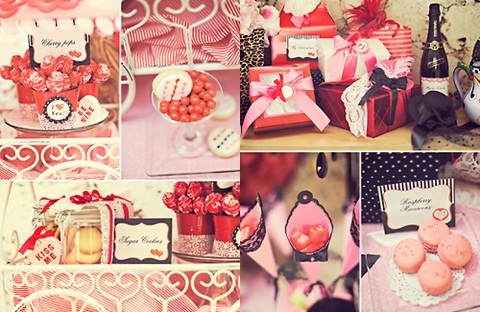 I chose to go with a red theme, inspired by love, hearts and all of that jazz. And lastly our lavish dinner. Japanese at my favorite place in the world :) Starting the day with food, ending it with food, that's how I like it. I had a wonderful pre-Valentine's Day with my valentine, couldn't have been better. What are you guys up to on Valentine's day? 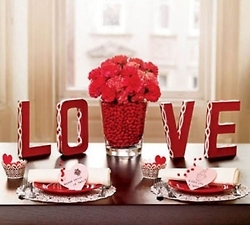 Spending it with your significant other or chilling on a GALentine's day with the girls? Anyways hope you have a good one! 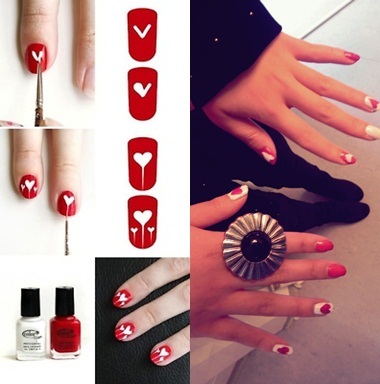 Those hearty nails are so cute! I love your nails too, they turned out really good! Und die Notfalllösung klingt gut, haha. Übrigens gehöre ich zu den fluchenden Solo-Leuten, die sich an dem Liebestag über alle aufregen, hahaha. You are pretty :) Hope you had a great day! Cute pics ;-) Have a nice Valentine's Day ! Awww this is such a cute valentines post! The japanese food looks so yum! Tolle Eindrücke! Da wird´s einem warm ums Herz :) Ein sehr schönes Outfit! Beautiful post. I love all the hearts.